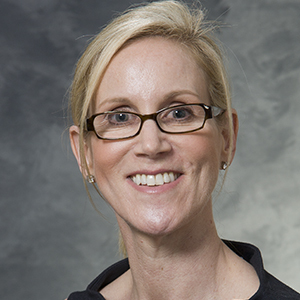 Dr. Wendy DeMartini is currently a Professor and the Section Chief of Breast Imaging in the Department of Radiology at the University of Wisconsin School of Medicine and Public Health. She joined the department in 2013, after serving as faculty at the University of Washington School Of Medicine. Dr. DeMartiniâ€™s work is focused upon high quality patient care, education, and clinical research. Her research is directed toward the appropriate evidence-based use of imaging tests to optimize the detection and evaluation of breast cancer. She has served as an investigator on several studies of breast MRI funded by the National Cancer Institute and by the American College of Radiology Imaging Network (ACRIN). Particular research topics have included the development of a pilot tool for predicting the probability of malignancy of breast MRI lesions, assessment of the impact of background parenchymal enhancement (BPE) on breast MRI accuracy, and evaluation of current utilization patterns of breast MRI and other emerging technologies. Dr. DeMartini is an active member of many professional organizations including the Radiologic Society of North America (RSNA) and the Society of Breast Imaging (SBI). She was elected as a Fellow in the SBI in 2009, and was recently elected to the SBI Board of Directors.